Norm O’Reilly is recognized as one of the leading scholars in the business of sports. He is currently Assistant Dean in the College of Business & Economics at the University of Guelph, a leading research university near Canada’s largest city of Toronto, where he also directs the International Institute for Sport Business & Leadership and is a full Professor. He was previously the Richard P. and Joan S. Fox Professor of Business and Chair of the Department of Sports Administration at Ohio University’s College of Business, home of #1 sport business graduate program globally in 2015, 2016, 2017 and 2018. Dr. O’Reilly has expertise in a range of business topics, including analytics, marketing, sponsorship, social media, sport finance, social marketing, tourism management, and management education. He has authored or co-authored eight books, 14 case studies in the Harvard/Stanford series, and more than 100 peer-reviewed journal articles. His books include the 2016 release Sports Business Management: Decision Making Around the Globe with George Foster and Tony Davila, and the 2015 book Global Sport Marketing: Sponsorship, Ambush Marketing and the Olympic Games, with Richard Pound, Rick Burton, Benoit Seguin and Michelle Brunette. At conferences, he has won 12 Best Paper awards and has more than 150 conference presentations to his credit. Dr. O’Reilly is the lead researcher on the Canadian Sponsorship Landscape Study, a highlight of the annual Canadian Sponsorship Forum since 2007, currently in its twelfth edition. In 2015, Dr. O’Reilly was awarded the Career Achievement Award by the American Marketing Association’s Sport Marketing Special Interest Group. His research has been recognized with a number of other awards over the years. 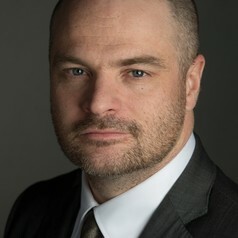 Prior to coming to his time at the University of Guelph, Dr. O’Reilly taught at Ohio University, the University of Ottawa, the David Falk Center for Sport Management at Syracuse University, the Graduate School of Business at Stanford University, the School of Sports Administration at Laurentian University, and the Ted Rogers School of Management at Ryerson University. He has previously held positions as school director, department chair, vice-dean and director of a research centre. In recent years, Dr. O’Reilly has taught courses in Athabasca University’s MBA in Ice Hockey, the graduate program at the Russian International Olympic University in Sochi, sport business at the University of Bayreuth in Germany, and in a sport business certificate program in Mumbai, India. Dr. O’Reilly works closely with industry. He was recognized in 2013 as one of the “Five to Watch” in sport business in Canada by the Globe and Mail and is a lifetime Research Fellow of the North American Society for Sport Management. In 2011, he was the recipient of the University of Ottawa’s Media Excellence Award (for media coverage of his research). He is often interviewed on television around the world (CTV, CCTV, Bloomberg Business, TSN, Sportsnet and others) and comments regularly in major print media. For more than a decade, he has been minority owner and partner consultant Toronto-based agency, T1, where he has worked for clients including Nike, UFC, Nissan, Canadian Olympic Committee, Canadian Association of Fire Chiefs, and many more. He also acts as a specialist on legal cases and has sat on the boards of many sport organizations. Dr. O’Reilly was ‘Assistant Chef de Mission’ for the Canadian Paralympic Team headed to the 2016 Paralympic Games in Rio, Brazil. In 2017, his work was highlighted publicly in the media as part of the Canadian Hockey League legal case around player compensation. Dr. O’Reilly holds a PhD in Management from the Sprott School of Business at Carleton University, a MBA from the Telfer School of Management at the University of Ottawa, a MA in Sports Administration from the University of Ottawa, and a B.Sc. (Kinesiology) from the University of Waterloo. He currently holds visiting/adjunct appointments in Canada, the United States and Australia, and also holds the CGA/CPA Accounting Designation. Prior to joining academia, Dr. O’Reilly had involvement as an administrator, including senior policy officer at Sport Canada, team manager and office manager at Triathlon Canada, and event manager for the 2008 Toronto Olympic Bid. In addition to his leadership role for Team Canada at the 2016 Paralympic Games, he has been a member of the 2004, 2008 and 2010 Mission Staff for the Canadian Olympic Committee at the Olympic Games, and attended the 2012 Olympic Games in a research capacity.